1. Queue up old school club songs to dance around to next time I’m home alone on my birthday. And by doing so, I’m guaranteed to not be home alone on my birthday. That’s how it works, right? 2. Go to the next outdoor music festival I’m invited to. Except nobody ever invites me to those because they know me too well. Excuse me, did you say no indoor plumbing and no running water and no acceptable shelter to speak of? I guess I could invest in one of those pee pouches that make it easier for women to take a piss outdoors. On second thought, how about I just forget this idea altogether. 3. Cyberstalk Emma The Goddess Thompson. 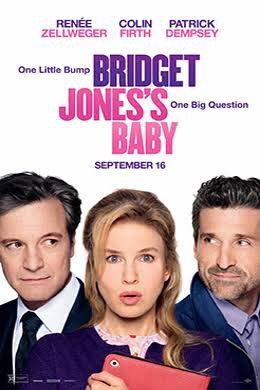 The Oscar-winning screenwriter of Sense and Sensibility co-wrote the Bridget Jones’s Baby screenplay and did a wonderfully witty turn playing Bridget’s obstetrician. I officially have a woman crush. 4. Forget affairs of the heart and pursue hedonistic pleasures instead. 5. Check all my purses and make sure the condoms haven’t expired. Or go online and buy a grip of new ones anyway, just to be sure.